One hundred years ago on April 6, 1917 the United States joined World War I. In commemoration of the centennial of this event, the Summer 2017 issue of the Oregon Historical Quarterly will feature the perspectives of several scholars on the meaning and impact of that war. In my article I focus on how Oregon implemented the federal Espionage and Sedition Acts. Who was arrested, who was prosecuted, and what the outcome of the prosecutions? A link to the article will be posted here following publication. Several elements of my research are presented here. 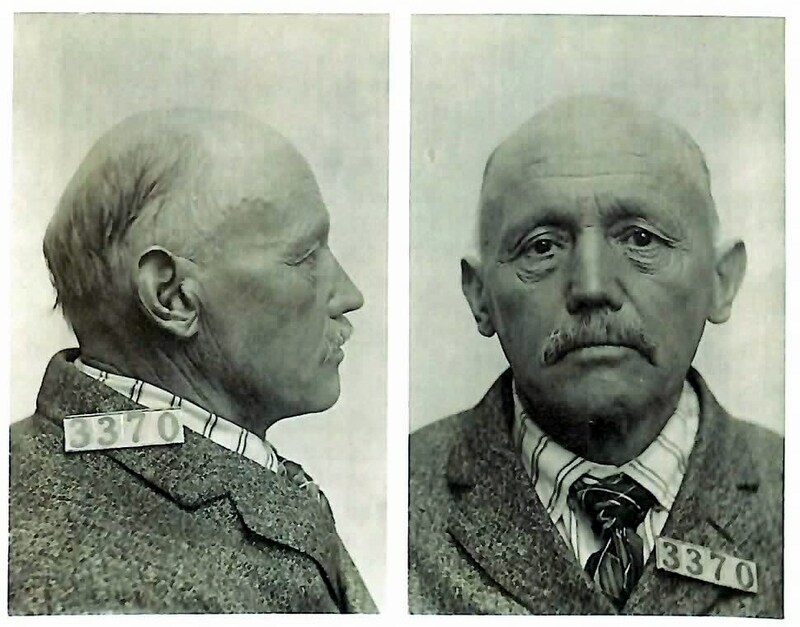 ​The following mugshots and descriptions present a few of the Oregonians convicted of sedition. ​Marie Equi is one of the few individuals convicted of sedition to receive a full biographical account of her life. Marie Equi: Radical Politics and Outlaw Passions, published by Oregon State University Press in 2015 is available at bookstores and online, and now available as eBook/Kindle and ePUB formats. On April 19, 2017 I joined historian and author Dr. Michael Kazin to talk about Dissent and World War I in the United States and Oregon at the Oregon Historical Society in Portland. Click below to view the video on YouTube. The video begins with Dr. Kazin's discussing findings from his new book War Against War"; my talk begins at the 35 minute mark. Conclusions: What Does Oregon's Experience Reveal? 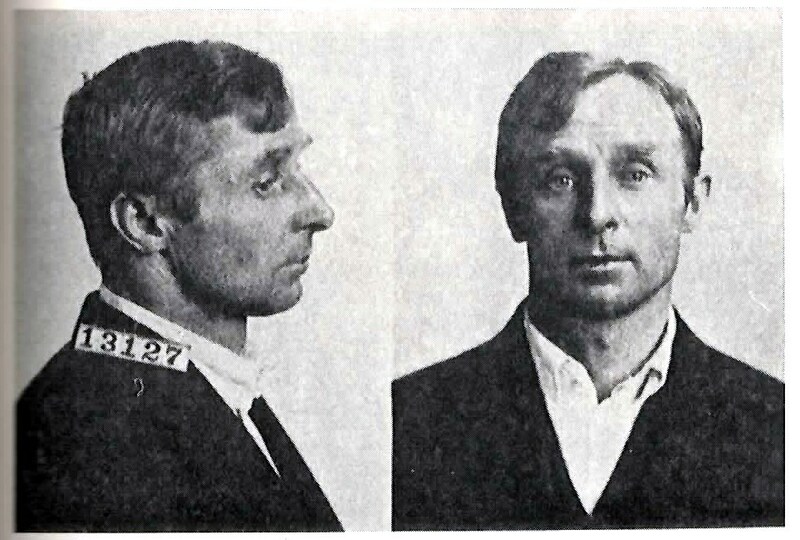 The Western states mounted the most vigorous enforcement of the Espionage and Sedition Acts in the nation during the WWI period. These were the states that most wanted to suppress dissent overall and squash the radical Industrial Workers of the World in particular. Badly needed wartime industries, especially lumber, were located in the West, and business and civic leaders feared radicals' ability to disrupt production and discourage federal investment. Oregon attempted to stifle dissent to the extent that federal and state resources permitted. It was not the most aggressive in the West: Montana convicted 79 dissenters compared to Oregon's 28. But the Beaver State helped create a climate of wartime fervor and hyper-patriotism that led to an emerging surveillance state. 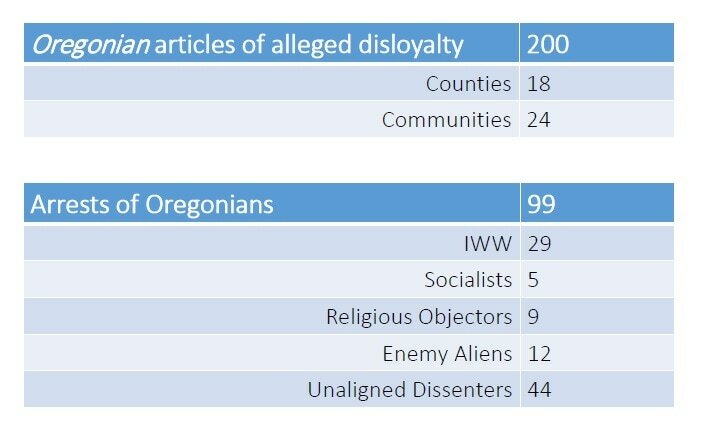 After the war ended, Oregon adopted a state-wide sedition law that was even more harsh and restrictive than the federal Sedition Act. For all the lives disrupted and perhaps destroyed by the sedition arrests and investigations in Oregon, organized opposition was limited. 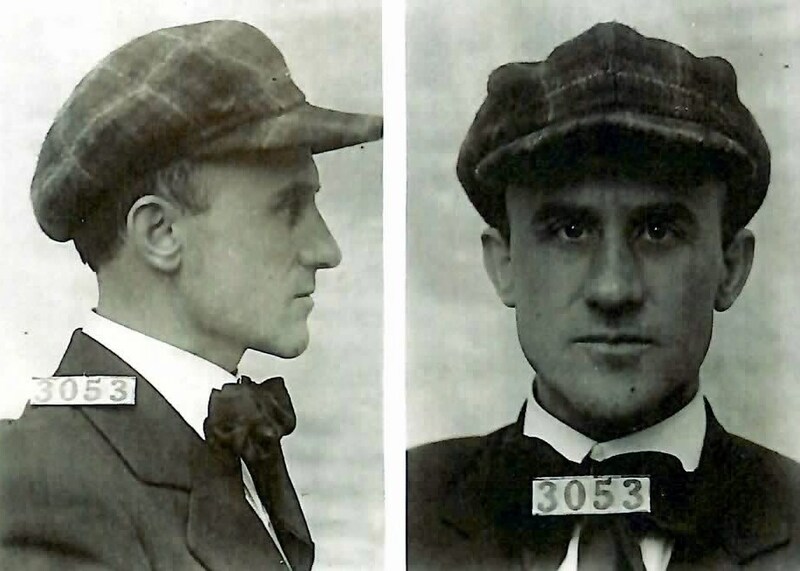 The IWW and the Socialist Party mounted protests and courtroom defenses, and a few cases triggered an outpouring of sentiment. 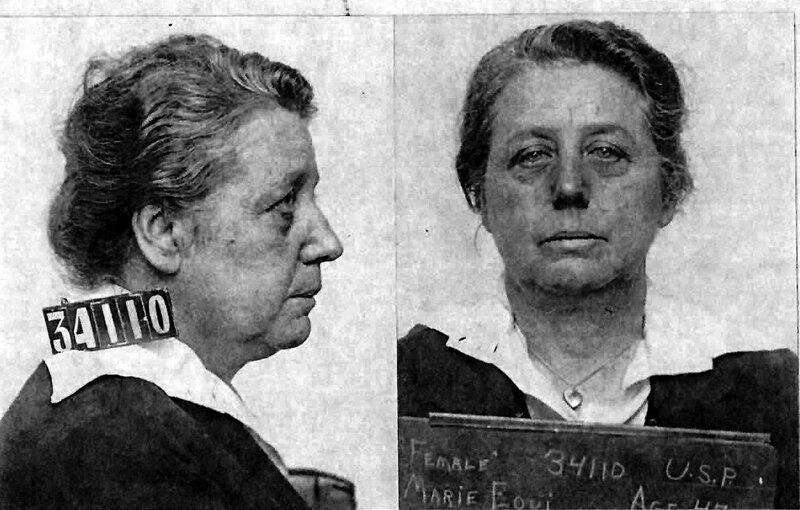 Marie Equi, a physician and agitator, had her sentence reduced from three years to one. For the most part, the public seemed too exhausted from the war and the accompanying global influenza epidemic to re-affirm and demand the right of dissent. The Montana Sedition Project, University of Montana School of Journalism, Director, Professor Clemens P. Work.